Domestic violence and abuse affect thousands of women (and children) every single day. In fact, it is the leading cause of injury to women, and the statistics are heartbreaking. Domestic violence is more common than automobile accidents, muggings and rapes combined according to former US Surgeon General C. Everett Koop. Shelters and support are available, but the fear and memories will be with them for a lifetime. Most women who escape their abusers arrive at women's shelters with little or no personal belongings. Often times, it is just the clothes on their backs. 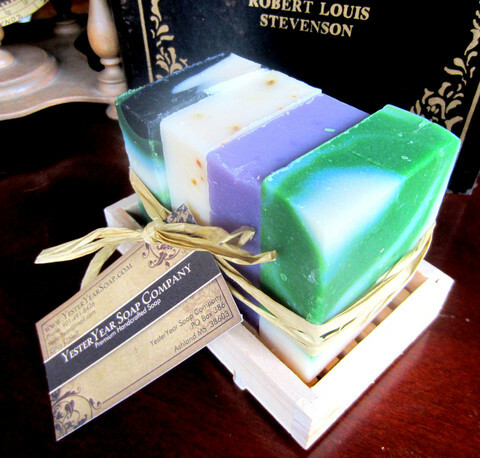 YesterYear Soap Company is helping make a difference in the lives of thousands of battered women (and children). They are donating their premium handcrafted soap, in hopes of putting a little happiness back into the victims life. "Being able to have your own bar of soap may seem like a small thing, but it can provide big comfort to a battered woman who just left everything behind." By making regular donations to women's shelters, the YesterYear Soap Charitable Giving campaign is making a big difference. Their focus is to bring awareness and help make a positive impact. “We want other businesses to be aware of the needs of these shelters and hope that much needed supplies can be directed toward them,” stated Cindy O’Neill, Production Manager of the company. YesterYear Soap products are unique and beautiful. They would make the perfect wedding, birthday or anniversary gift! I'm a firm believer that it is the little things that matter most!